In India most of the things that we see now have long outlasted their expiry date. The Congress party couldn’t offer that bad an example. Though we can live with many of such archaic stuffs floating around us, it requires an immediate attention for few of these aging entities that demand some desperate transformation. Case-in-point is the snake oil that goes by something called constitution and of course our awful democratic framework which not only emboldens thugs, criminals and scoundrels to get into our politics but also inhibits honest people, even if they want to get in. Lets leave our constitution for a moment and concentrate on something, for which I am sure, we as a nation have lost more than gaining. Our democracy that is. It doesn’t require an exceptional IQ to realize how precariously we are placed, vis-à-vis our politics and politicians. One glance at the likes of Lalu or Mulayam, confirms it may just not be enough with minor changes. In fact we may very well need an overhauling. A drastic refurbishing at that. When a system is found encouraging only deceitful and evil people to come into the fracas, it not only looks terrifying but also puts a question mark on our collective wisdom for stomaching such a rotten framework for so long. The other day, I twitted for suggestions on the points that one feels, necessitate some changes. Those who replied with their propositions were majorly divided in two categories. There were the ones who simply have lost any optimism of things improving while the others were exasperated enough to even demand for a complete abolition of democracy altogether. Few even were cynical and willing to go with anything in future but the prevailing wretched democracy. A couple of them in fact advocated for dictatorship as they find our present day democracy is no better or may be even worse. One even aspired for the return of British rule, where, unlike now, at least we used to have some accountability. I don’t blame people for such clandestine opinion. Our political class, with their tireless effort of last sixty odd years, assured us that we never, nor will ever gain anything from them or our democracy, which is touted to be world’s largest. 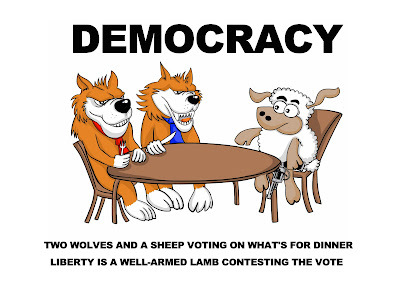 In our or for that matter any democracy, there are three major constituents. The ones who come forward to serve the people by gaining our mandate; the ones like us who take all the pain to stand in the sultry sun and rain to cast our votes; and of course a framework which enables the voters and the voted to come together and stitch a harmony. But alas, I find all three constituents of our democracy are rigged, fraudulent, charlatan and perhaps completely nonfunctional; not at least the manner we want them to be. Let’s start with the people who come around every now and then with their begging bowls for our votes. Yes the community which claims to have a pious ideology of serving people but always remain busy in looting us instead. The first thing that comes to mind – can we really do something to stop the entry of absolute rogues entering our political circle? If not stop it in its entirety, at least curtail it to a significant extent. The recent Supreme Court order to bar convicted criminals from contesting elections is a step in that direction but not fool proof. Knowing how pathetically slow our judiciary is and the convenience in which it can be manipulated, even someone with thousand serious charges against him can remain in power till he is naturally dead and yet not a single conviction would come from our courts. One option to counter this problem is to bar them from contesting, the moment an FIR is filed against them. Looks absolutely fine since FIRs are filed against some prima facie evidence, not just on someone’s complain. But knowing, how our police force languish at the bottom layer of honesty, anyone can file an FIR against anyone without having any evidence, let alone prima facie. So, how one can stop the Raja Bhaiyas of the world from entering our politics? I see no other option but to stop them at the entry level. But will the political parties be generous enough to not accommodate history sheeters in their folds suo motto? My guess is as good as yours' and the guess is a big no. That said, we can still force the political parties to comply; not by setting up stringent entry guidelines, which anyway can be manipulated but by inculcating a fear factor. Let them welcome criminals with open arms; let the criminals be in power even after having hundreds of criminal cases against them. Let the current guideline of the apex court be there, but with a caveat. If any politician is ever convicted, even after he is dead, a trail of his career would be dug out and all those political parties he ever had any association would be disqualified from contesting elections. The bargain should be made no simpler than this – you give entry to goons and criminals, better be not caught ever. Else the person in concern, along with the entire party is not going to exist in our political spectrum henceforth. While we are at the political parties, let’s discuss how big a malice they themselves are for our democracy. When the identity of a political party becomes loot, corruption, Mafiosi, they better are shown the door than being there and corrupting an entire system. Does anyone think, parties like SP, BSP, RJD are ever going to be beneficiary for our democracy, let alone the nation? Are these parties ever expected to refrain from dividing the nation on caste lines and do something astoundingly constructive? Blame it on Indira Gandhi for centralizing all powers at her disposal, so much so that all regional congress leaders turned into nothing more than doormats of her residence. The regional parties then mushroomed with a promise of giving the people a voice are now becoming nuisance for the same people. It always the personal interest and vested agenda that drives filthy associations like BSP and SP. Either in greed for power and money or threatened with dire consequences for their previous criminal spectacles, they always are roped in to support another set of bigger criminals. Support is bought and sold when there is a need for some wretched numbers in the house and these morons are then given a freehand to loot the nation for their friendly gesture for the ruling scoundrels. That is what we precisely are seeing vis-à-vis Congress, BSP and SP for last four years. Ditto is the case for opportunistic rabid mongrels like Lalu. One way from stopping these regional parties in blackmailing the bigger parties and in turn the nation is by mandating a pre-poll alliance. No post-poll alliance business should be allowed at any cost; even if that means going for fresh polls. If we can invest thousands of crores in nonsense like MNREGA and FSB, why not invest instead in bringing about a change in our democracy? Likewise how divorce between married couples are decided by the court of law, any withdrawal from the coalition must be monitored and approved by none other than a bench comprised of senior apex court judges, headed by the chief justice of India. None should be allowed to wake up one morning like Mamata Banarjee and walk away to satisfy personal ego, there by throwing the entire governance into instability. Such moronic steps by homicidal idiots like Didi should be stopped with iron fist. Good or bad, one has to satisfy the court with appropriate reasons for the pullout decision as the consequences could easily be a political turmoil. Hence it certainly can’t be allowed that people with absolute pea size brain but lots of ego, act of their own just because they have a handful of 10-12 Mps by their side. And please keep the core idea behind having an upper house intact. Let’s not make it an open auditorium for failed politicians who lost their election or criminals with lots of money to enter through the backdoor. Idea of upper house was to accommodate intellectuals, educationist, true industrialists, scholars, noted sportspersons to come into politics which they otherwise won’t do, and have a say in day to day governance. Let keep the sanctity of the house in its original form by not allowing international repute criminals, rapists, money launders, people having corruption cases against them or absolute nutcases like Renuka Chaudhury to squeeze through. Not at least allow someone yet to fight a Loksabha election but becomes the PM of this nation through Rajya Sabha route. 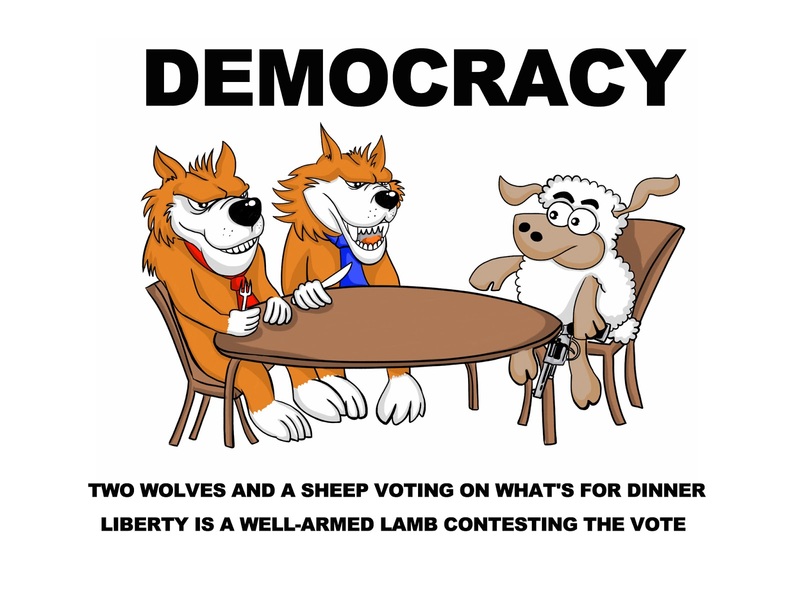 That is such a disservice to the whole notion of democracy. Ditto is the case with electing the president of our republic. Not at least allowing our cooks to become the first citizen, is the first thing we can do. That looks so shameful. I agree with Anuz here. Media being the fourth pillar of democracy, are expected to demonstrate highest level of honesty. If they are not willingly exhibiting the honesty expected of them, they have to be forced on it. A bunch of sold out individuals shouldn’t be allowed to play with our democracy without being obstructed. People may cry for the so called freedom of press, but freedom no way means lie peddling. Freedom should be there to tell the truth, not lies, which unfortunately is too rampant with our present day media. If they are proved of lying on facts that has potential of a political impact, it should follow by heavy (I mean real heavy) penalty with revocation of their license for repeated offence. Such rules will have dual benefit. First it will stop these media crooks from distorting facts and second, they would always be on their toes as rival media houses will always be in the lookout to prove them of lying. This anyway would improve the quality of the news, which otherwise now looks more like paid advertisement for a particular party and its first family. At least I feel so while watching NDTV. Well as for Samar, though the suggestion is proved to be more efficient and corruption free than the priministerial British approach that we presently have, it doesn’t look too convincing for us. Mainly because of the diversity that we have in our country. We need leaders at different level to address to various needs of the populace, not just a numero uno sitting there and knowing nothing about the capital of Manipur. We need representation from every corner which otherwise isn’t possible the presidential way. Yes, what we can instead have is a separate EVM at each polling booth and people would be asked to cast their vote for the designated PM candidates of various parties. And this vote would be separate from the routine vote they would be casting for their local legislative. At the end of the counting it should also be assessed if people really want a person to be the PM even if they have voted for the party that he/she belongs to majority. If not, then the party would be asked to choose another person as the PM candidate. I am not sure how fruitful it would be but it at least would stop mute buttons from honoring a post and doing nothing except narrating shairies when need of the hour is action. And for sure it will abruptly halt this heir apparent nonsense. The lists of suggestions are literally endless. One might keep on writing for a decade and yet be half done in suggesting necessary vagaries. But the point is not suggesting better changes; the point is, if someone really interested to bring about those positive changes. Am I asking too much from the powers that be to look within and the behavior they are demonstrating for last many decades and be little serious about the nation? He he he, again feel sorry for you dear. Who do you think will bring these changes? Do you believe the morons will sign their own death warrant? Pitty you of your innocence. It seems you love the words "suo moto" a lot....btw I really appreciate you for writing so well on contemporary topics. When there is no proper implementation of laws what we have is a system in favour of rich and powerful. For people at lower rung, democracy means nothing but a five-year exercise of queuing in the line to cast votes on the line of caste and religion. Read today's op-ed in TOI by Deepankar Gupta and you will know what is ailing our democracy. Congress is bringing FSB by ordinance and very few people are asking the rational. No body is questioning including BJP as to why so many poor are there in the first place in spite of country being rule by Congress for most of the 65 years. When PDS could solve the problem of hunger, how can FSB with same implementation mechanism solve it. This is what is ailing our democracy.